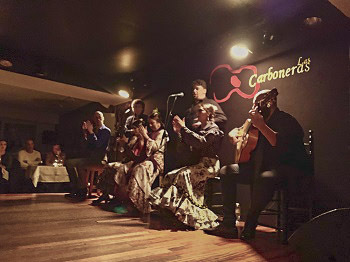 The most recent CEA Cultural Engagement activity that my friends and I participated in was a dinner and flamenco show with everyone from our program. 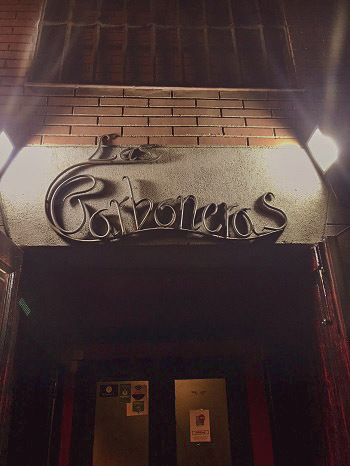 We began the night by meeting at Puerta del Sol in the city center, and from there we walked to the Las Corboneras flamenco house. It was an intimate, dimly lit setting with cultural decorations. The entire ambiance felt similar to a movie theater, and we were excited to watch the main event. There were small tables evenly placed around a small stage, where shortly, a professional flamenco dancer would begin her dance. 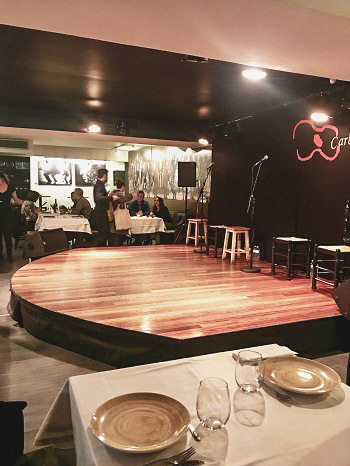 With so many students in attendance, it was a fun, lighthearted atmosphere—none of us had seen a flamenco show before and we were all thrilled to watch our first one together. Similar to a traditional flamenco show where the guests eat their dinner during the performance, we received our food shortly before the dancer came onto the stage. As the lights dimmed, a hush fell over the audience and an elegantly dressed woman in an intricate black-and-white floral dress began her routine. Although I previously had not known about the history of this dance, I became fascinated with how this culturally significant dance came to be, and how people like this woman have perfected the style. 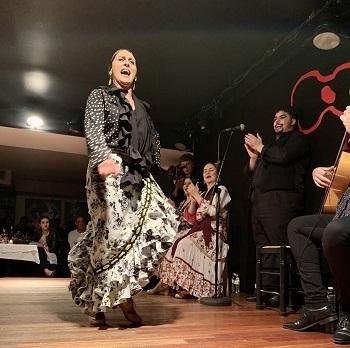 From reading more about the dance, I learned how flamenco is not just a style of dance -- rather, it's considered to be a telling of stories, an expression of history and emotion. It doesn't just stem from the Spanish culture, but has also come from the mixing of many cultures over the course of Spain’s rich and complex history. This was one fascinating aspect of European culture, with ancient traditions that far surpass America’s history timeline. While the dinner was lovely, and the flamenco show was great, I’m most pleased by the fact that I was with all of my friends to witness it. I can’t remember the last time I could say I actually had “dinner AND a show,” but this night was more than memorable on its own. I thank CEA for thinking of this outing, and inviting us all to join in this activity -- as it was both entertaining and culturally important. Grayson Hennelly is the Fall 2018 CEA MOJO Blogger in Madrid, Spain, and is currently studying at California Polytechnic State University-San Luis Obispo.